The Rabbit Hole Bookstore, Books & Comics, Libraries and Book Stores in Bengaluru. There are too few children's bookstores in Bangalore. A happy addition to Bengaluru is The Rabbit Hole Bookstore. Founded by Jyotsna Dilip and Vani Kannan. Jyotsna has been running a traveling bookstore, a facebook group for children's books. The Rabbithole Bookstore is not unlike the one Alice went down into for the ride of her life. The books in the store have been carefully curated so that a child and the book can bond with them. It allows children to encounter books in new and exciting ways and helps nurture creativity and a host of other skills. Apart from new titles, they stock pre-owned books at discounted rates also. 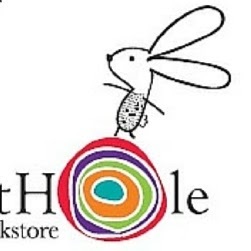 The Rabbithole Bookstore plays host to events like- book releases, readings, author- meets and workshops for children. It also runs a book club and a reading program for children (Seed A Read) and helps schools and libraries stock / renew their libraries, in addition to hosting book fairs. T​hank you for featuring The Rabbit Hole Bookstore! ​Thank you for opening a bookstore dedicated to children.